Thanks to Dragon for the pics! 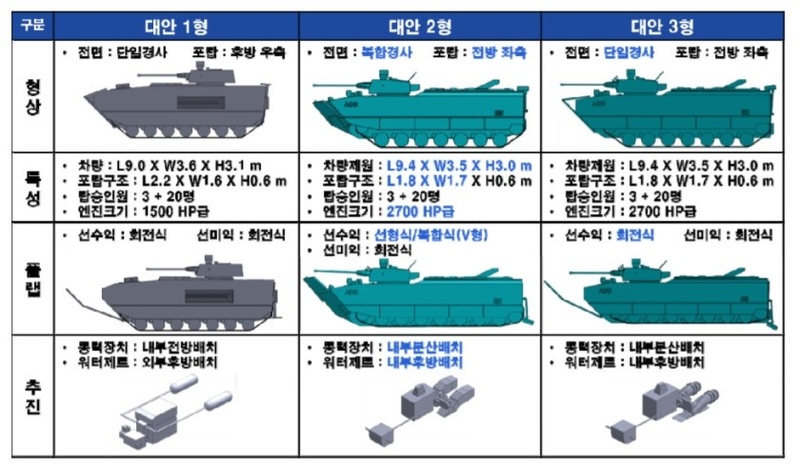 3 types of chassis are proposed. 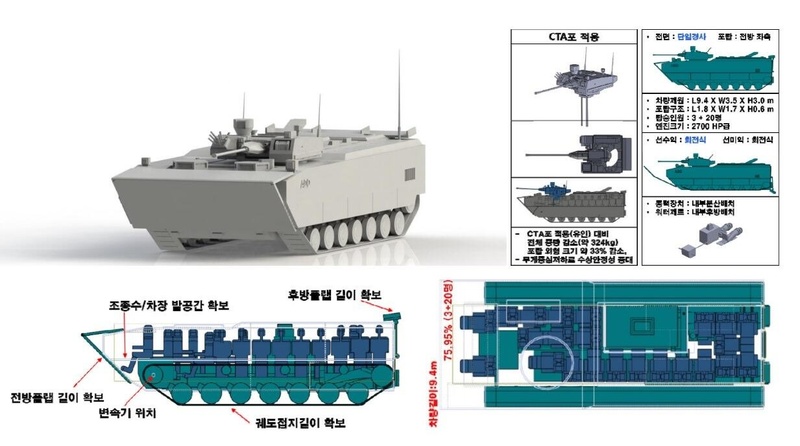 1 has basic armor with turret at rear half, dimension is (LXWXH in meter) 9x3.6x3.1, turret dimension would be 2.2x1.6x0.6, Crew 3 and 20 infantrymen, engine will have 1500HP. 2 & 3 are similar but with minor difference. Ver. 2 use composite armor and use V-shape bow flap. Ver. 3 use basic armor bend shaped bow flap. Dimension for 2 and 3 is 9.4x3.5x3 and turret dimension is 1.8x1.7x0.6, with crew of 3 and 20 infantrymen and engine hp will be 2700. 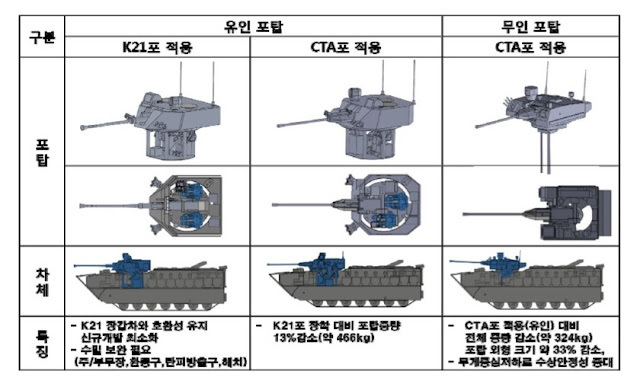 Proposed turrets from left to right, K21, CTA manned turret, and CTA unmanned turret. Wow. What would be even more interesting? If General Dynamics was right and it works and is affordable. How much of a future penalty did we saddle ourselves with, when we went batshit crazy because IEDs were wrecking us in the last war?